Placing an order with us will mean that you are agreed with our term and conditions. There are two parties in this agreement. Affordable-Dissertation.co.uk will be referred to as “service provider” in this agreement while the customer who is placing order with affordable dissertation UK will be referred to as “Client”. The service we provide in the form of academic and research papers will be referred to as “Work” in this agreement. Affordable-Dissertation.co.uk provides academic writing services that are intended to be used for research purpose only. Company does not hold any responsibility if these academic papers are used for any other purpose. Payments for our service are taken in advance and company is liable to complete work according to requirement of customer. If customer is not satisfied with quality of work due to plagiarism or late submission, he holds right to ask for a refund. However, conditions as mentioned in our “Refund Policy Page”, apply and company will decide to issue a full or partial refund as per refund policy. By placing an order with us, Client agrees that he/she is liable to provide accurate information that will help writer to complete his/her academic paper. Incomplete or insufficient information will be rejected. 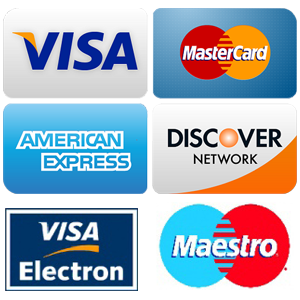 Further placing order with us, Client agrees that he/she will use his/her own credit/debit card or PayPal account for making payments to us. Using credit card or payment account of any other person will be considered as scam and hence order will be cancelled immediately. Service Provide intends to have real customers. To maintain its reputation, Service Provider will be liable to verify order details for fraud detection. For such case, Service Provider will match Client’s order details and payment details with IP information and then we will process order for confirmation. If Service Provider will find any discrepancy in information then the order will be cancelled. We do not collect any payment information of customers as we use a third party payment processor with best payment information security. Currently, we are processing payments with BlueSnap that will be considered to collect payments on behalf of us. Client is liable to make payment only when he/she places an order at our website or get payment information from our official email IDs with authentic signatures. We do not accept any payment mishaps to be made by client other than our official website or payment links other than our official email IDs. We do prefer lump sums but in case customer is not able to pay full amount at once, however, we offer installment options for certain cases. For new customers who are hesitant to pay huge amount at once. In this case, to build trust he/she can make 50% payment first only if the customer has an order of 20,000+ words, and after getting half of the work, can pay the rest amount to get final copy of the paper. For existing customers too we accept payment in installments only if they are unable to pay full amount however the order must be 20,000+ words. We do not offer any monthly installment option or any type of installment option after completion of work. Payment should be made in advance for each part of the work prior to initiation of work on that part. We do not accept orders for which we don’t have writers. So whenever a customer places order at our website, we assign his/her order to the most suitable writer. In case if writer is not available to work on his order then we will issue a refund for his order. Client will be notified for such case. The work will be delivered day after the due date if due date falls on Sunday, Bank Holiday or Christmas. Delivery of work can be late due to any natural disaster in country or any other critical political situation or situation like war. In any case except as mentioned above, if work is delayed, then we will be liable to issue a refund on customer’s request according to our refund policies mentioned on refund policies page. Place Your Order for Academic Papers Help Via Safe & Secure Order Form Today!